All photos taken on Kodak 35mm film. Carlsbad Caverns National Park, Southeastern corner of New Mexico. 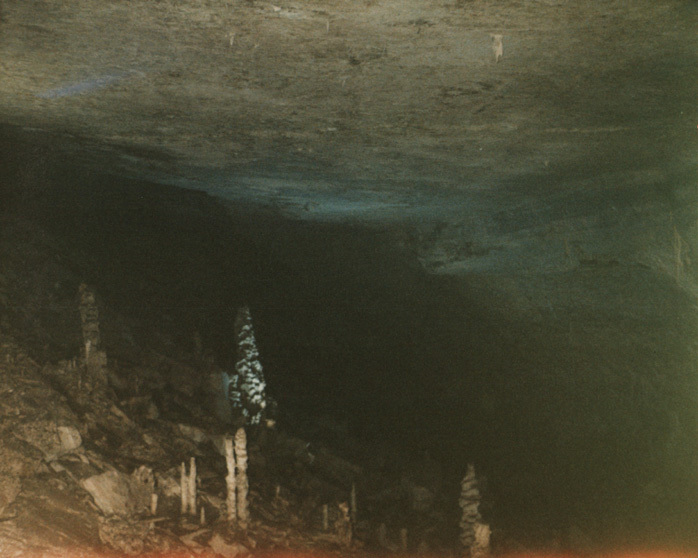 This picture is on a turn in The Natural Entrance route. 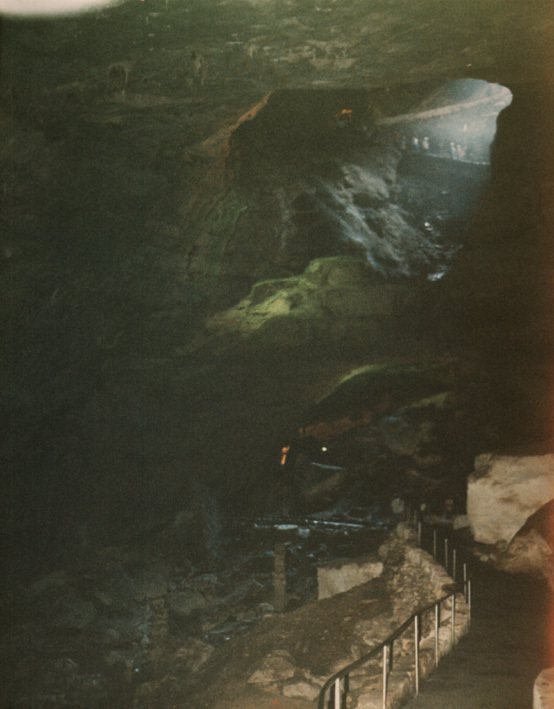 It shows the trail decending from the entrance, above, and the trail progressing deeper into the cave, below. Looking the opposite direction from the same location shows The Bat Cave.